I named my blog and media networking group PR over Coffee for a reason – I started working out of coffee shops six years ago when I went out on my own to follow a life-long dream of becoming an entrepreneur. Along the way I learned a few things about myself and my chosen profession of PR and marketing communications. I also learned a great deal about coffee and coffee shops – about what makes some coffee roasts better than others, and why some coffee shops excel where others struggle. Customer service matters: most indie coffee shops around my home town of Austin, Texas, excel at customer service no matter whether their baristas are clean-cut or covered in tats and piercings. Good customer service never goes out of style and comes in all shapes and sizes. Community building: many coffee shops have a unique sense of community tied to their brand identity. In Austin, there’s Wright Brothers Brew and Brew on east 5th and San Marcos that caters to an edgy assemblage of musicians, startup programmers and other creatives. A community tends to follow the lead of the brand identity and the attitude a business projects from the top down. 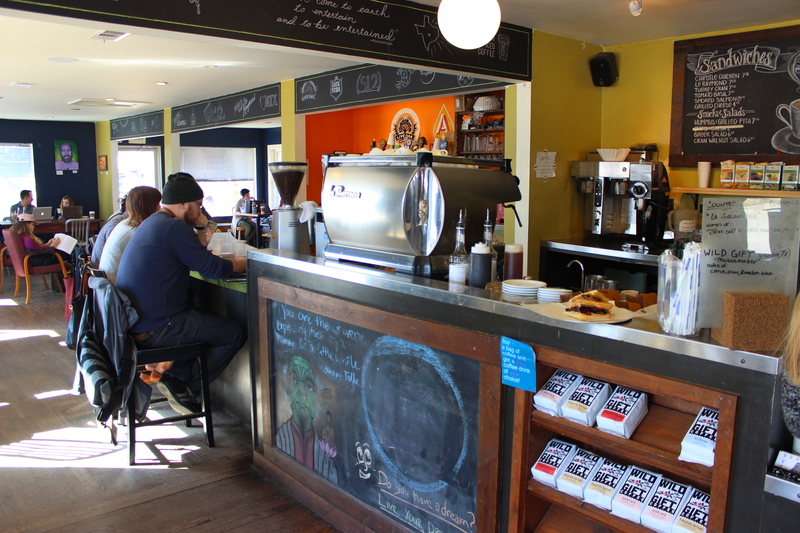 Continuous improvement: the best coffee shops don’t rest on their laurels. They constantly train, experiment and challenge themselves. It’s what keeps customers coming back for more. Quality: I’m a big fan of espresso. Wild Gift Coffee, a roaster based in Austin, makes one of the best espresso blends I have ever tasted with beans from Brazil and Colombia. I go out of my way to find it at coffee shops around town. Make sure your customers know you’re the best at what you do and they’ll reward you with fanatic loyalty. Efficiency: a good barista handles the pressure like a pro, taking orders in stride, minimizing wasted movements at the espresso machine, all the while finding a chance to connect with customers. Efficiency, however, shouldn’t be confused with speed – take enough time to make your customer feel appreciated. Networking: coffee shops are the de facto office for micropreneurs, startups, life coaches, artists and musicians, remote corporate employees and just about every kind of consultant out there. As the owner of a PR agency I appreciate the value a good network brings in the form of word-of-mouth referrals and good talent for client projects. Follow your passion: every coffee shop owner is on an entrepreneur’s journey, usually after having had a career in another field and discovering there’s more to life than working in an office cubicle or slaving away for the Man. The owners of Red Horn Coffee House & Brewing Co. in Cedar Park recently left jobs in construction and education to pursue their dream of roasting coffee and brewing beer. Coffee-preneuers are an inspiring lot and working around them constantly inspires my own entrepreneurial journey. Authenticity: this buzzword from a couple years ago still holds true. Customers crave an authentic experience to take away as a lasting memory. Social media is where those memories are recorded for all to see. Take risks: when I work in coffee shops I surround myself with people who take risks everyday. Coffee shops take risks by introducing new coffee roasts, adopting new coffee brewing methods, adding new food and non-coffee items like kombucha or vegan donuts. It reminds me that I have to take risks with my business on occasion without ignoring my customers’ experience and need for stability. Surround yourself with talent: Coffee shop owners will tell you that they are only as good as the baristas they hire, train and support. Your best customers rave not only about you but also your talented supporting cast. Nurture and challenge your talent and you’ll rarely have an unhappy customer. Hire slow: one of my favorite coffee shops in Austin – and trust me there are many to love – is Houndstooth Coffee, which helped set the stage for the craft coffee revolution going on in Austin. Houndstooth is known for its rigorous barista screening process involving several rounds of interviews. The top-shelf talent they attract helps them set the pace for serious craft coffee in Austin. I hope you enjoy your next coffee at your favorite local coffee shop, especially with the full knowledge of how hard it is to make your experience truly special and worth sharing with others.